Now that you have seen pictures from my trip, I thought I would show you what I made to keep some of those memories with me. 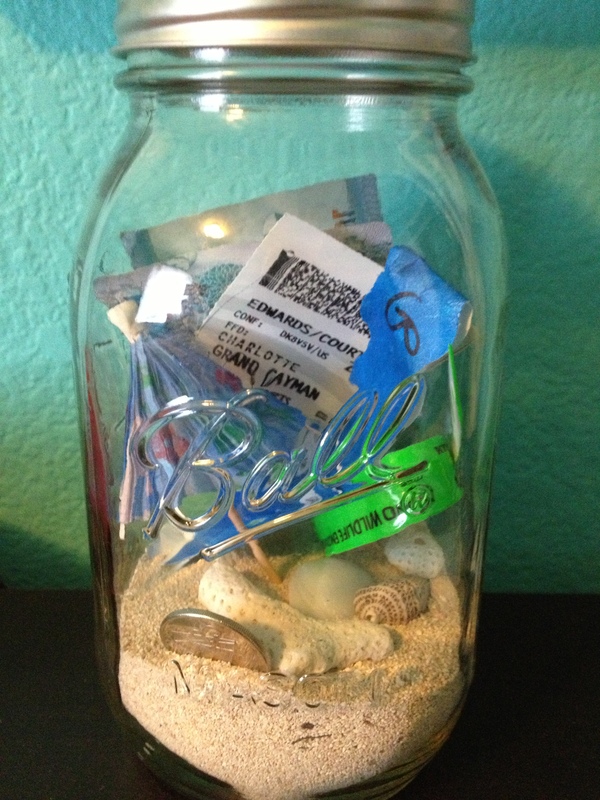 I decided after each trip I take with Bobby, regardless of how far, I wanted to fill a Mason Jar with souvenirs from that location. Then when we get a place together, I will put them on a nice shelf somewhere and we can look at them and it’ll be cute.. at least it is in my head. 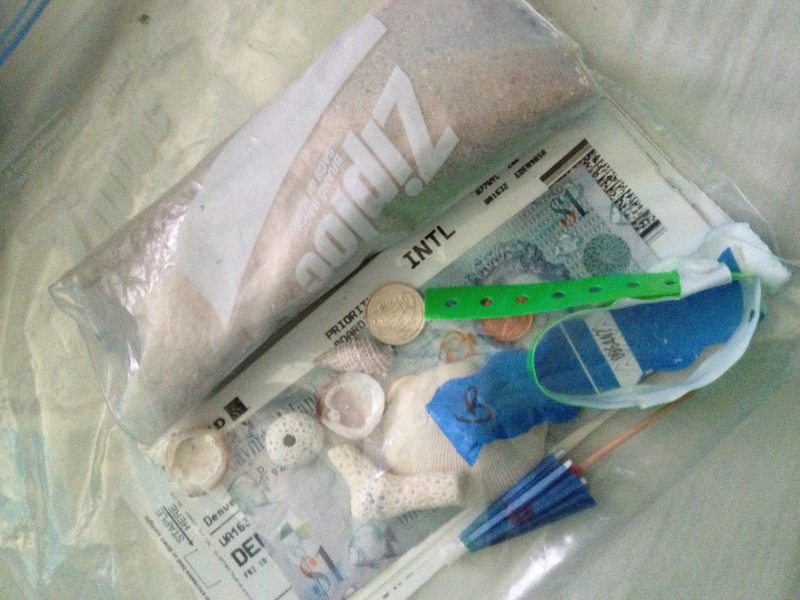 For the Grand Cayman Jar, I brought back sand, money, an umbrella from my drink at Margaritaville, wristbands from a few places, seashells, and my plane ticket. Bring a baggy with you! I filled it up and made it as cute as I could without being able to fit my hand in there too well.. I do plan on putting a picture of us from the trip on the lid and wrapping it with some kind of rope?! I am not too sure, but I do love it and it was so easy to do! I also love that this can be used for anything you want to remember… like for those with kiddos, one for each year of school with that year’s school picture and the achievements for that year. 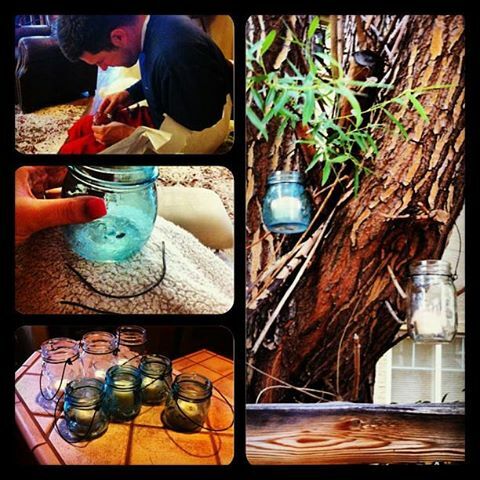 Mason jars have endless possibilities. My cousin just made lanterns… they are adorable! So cute! I used to make souvenir boxes when I was little, but this is a much more ‘grown up’ way to do it :D Thanks for sharing!